If you have ever imagined going to Africa and hunting one of the rugged and amazingly wily Barbary Sheep, also known as Aoudad Sheep, you no longer have to just dream. This exotic animal can now be hunted right in Texas, without all the expense of a worldwide safari. Many hunters consider the Aoudad Sheep one of the most challenging species to hunt since they are very wary of people, extremely agile and athletic and Aoudads also have an amazing sense of vision that makes them tough to get close to. As if that wasn’t enough, these sheep have an incredible ability to scent danger in the area and require particular skill to get close enough to get off a shot. 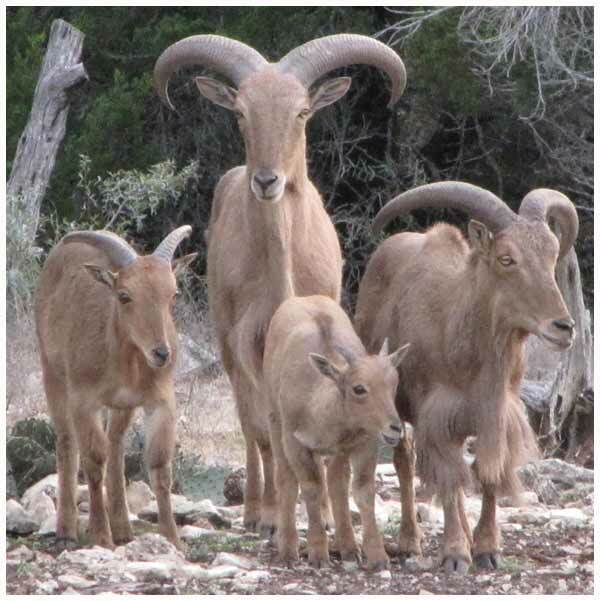 The first Aoudad sheep were brought into the state of Texas in the early 1950s. Like most of the exotics now found in the state, the original Aoudads were brought in by private owners. 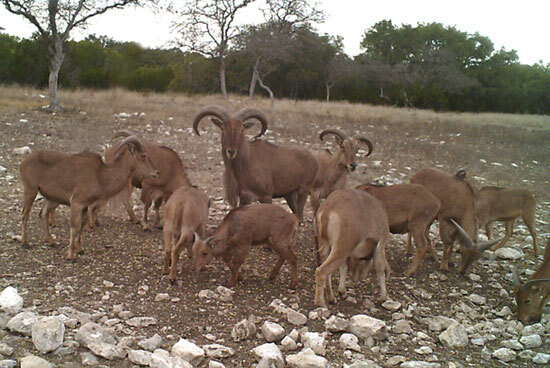 The first recorded Barbary Sheep in Texas were in Llano and Kerr counties, but their popularity quickly made them an in-demand species on game ranches throughout central and southern parts of the state. Aoudads are a large, desert type of sheep that is native to the Chad and Barbary Coast of Africa as well as the Atlas Mountains. In their native land they are a very tough species, living up in the rugged, rocky areas and managing to forage for food in very sparsely vegetated areas. As with most of the African mammals Aoudad sheep have a thick, dense coat that tends to blend into the environment. The body and neck are a dusky brown to a slightly reddish brown and the undersides are slightly lighter in color. In both rams and ewes a noticeable beard and fringe is found on the throat and the underside of the tail. On males this fringe is much more marked and profuse and can reach down to the lower part of the chest. For a trophy mount the amazingly thick and substantial horns are one of a kind and completely unmistakable. Both males and females have horns that are similar in shape, triangular and thick at the skull and tapering to a point at the tip. As the ram matures rings form on the horns and then slowly wear away with maturity. The horns curve backwards and slightly to the outside, with trophy rams measuring between 30-34 inches. Females have horns that are not quite as long, but they still make a spectacular presentation. A typical Aoudad sheep will have a body length measurement of just over 4 feet to up to 5 feet, shoulder height of 2 to just under 4 feet and a weight 65 to 320 pounds. Rams are significantly larger than females, so a ram is definitely what you want to be hunting for if you really want that trophy animal. Young Aoudad Sheep have a lean meat that is quite delicious! Hunting sheep is not for the faint at heart or the hunter that isn’t prepared to really work for a shot. They tend to be most active in the dusk and dawn hours, meaning that you have to be up early hiking through some very rough terrain to get to the best hunting spots. 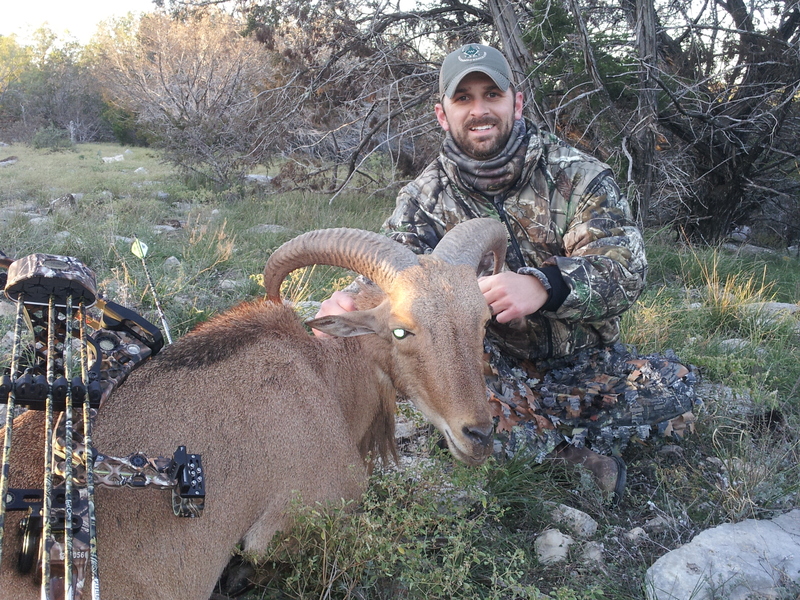 Aoudad Sheep can be hunted by stalking or out of blinds overlooking feeders or game trails. Large caliber rifles are preferred to hunt trophy class Aoudad Sheep which are large rugged animals that try to head for almost impassable terrain when shot. 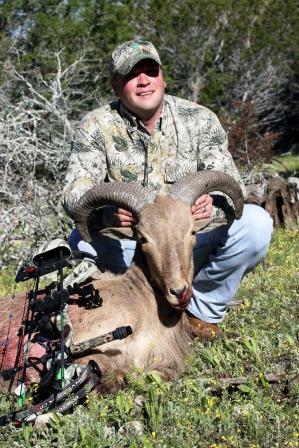 If you don’t mind a bit of exercise and enjoy a true challenge, Aoudad hunting is right up your alley.